Vince Mantle Flooring is committed to providing the highest level of technical support, from floor preparation to the finished floor covering. Our professional surface preparation team, offer full technical support, and our equipment and practices meet all Health & Safety criteria. We have an enviable reputation for reliability and excellence, high levels of service and tailoring solutions for every project, with satisfied customers nationwide. Floors and their uses vary enormously. Therefore, each method is judged on its merits and full account is taken of the working environment in which the preparation has to take place. 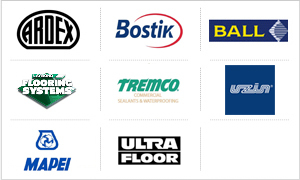 The correct subfloor preparation products are essential for the success of the finished floor. In order to minimise problems and save possible additional costs, we ensure all flooring products are adequate for the intended use.